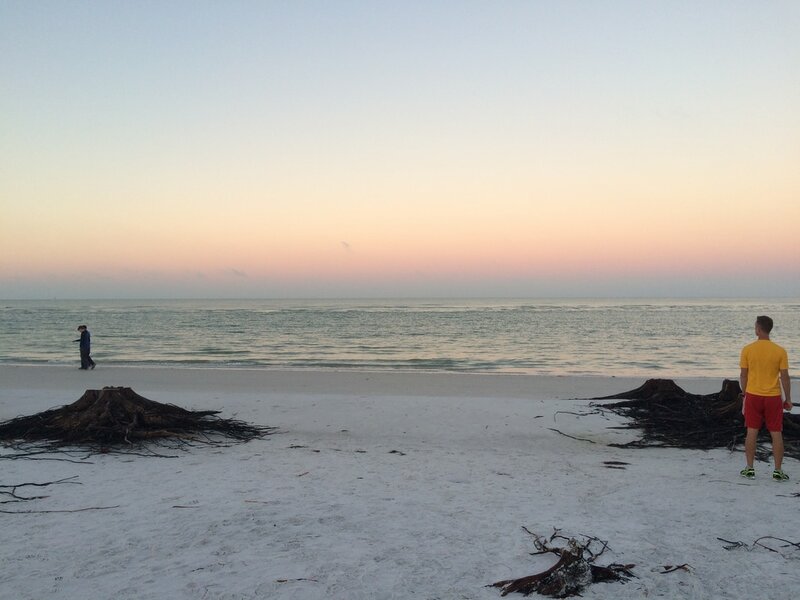 Beautiful calming sunrise on North Beach at Fort DeSoto Park before the race. 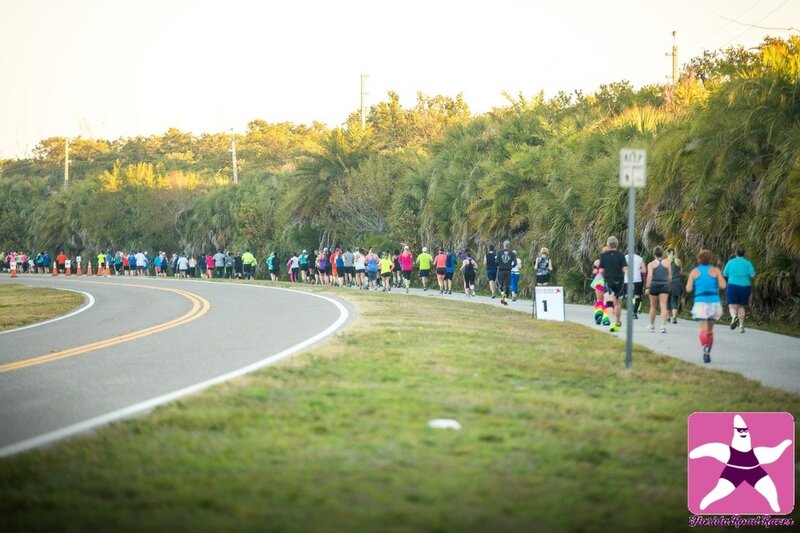 The Florida Beach Half Marathon takes place in March at Fort DeSoto Park in Pinellas County. It's the final race of a five race season produced by Florida Road Races. The event included a 5k race that starts about 15 minutes after the half. Both races are entirely inside the county park. Packet Pickup: Yes. 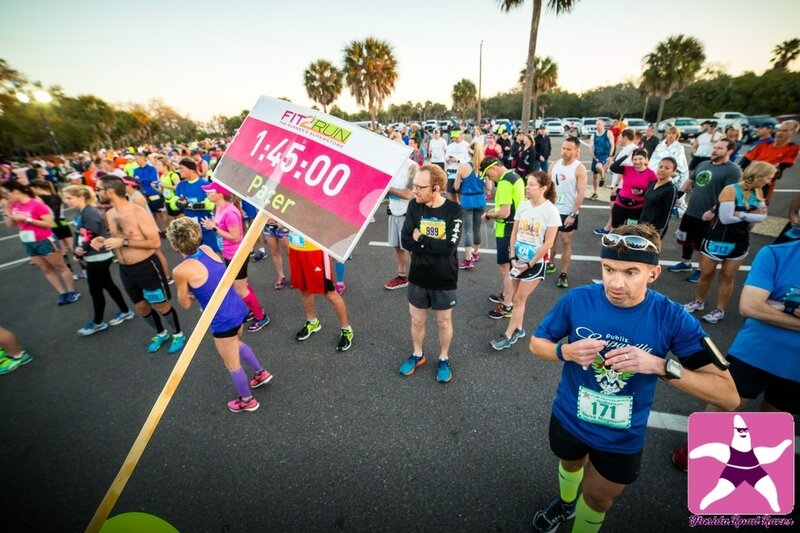 Packet pick up and registration was at St. Pete and Tampa Fit2Run locations during the week before the event. Race day pick up was available. Race Course: Half Marathon (and 5K) began and ended in the North Beach parking lot. The entire race took place on paved parking lot, road and trails inside the park. 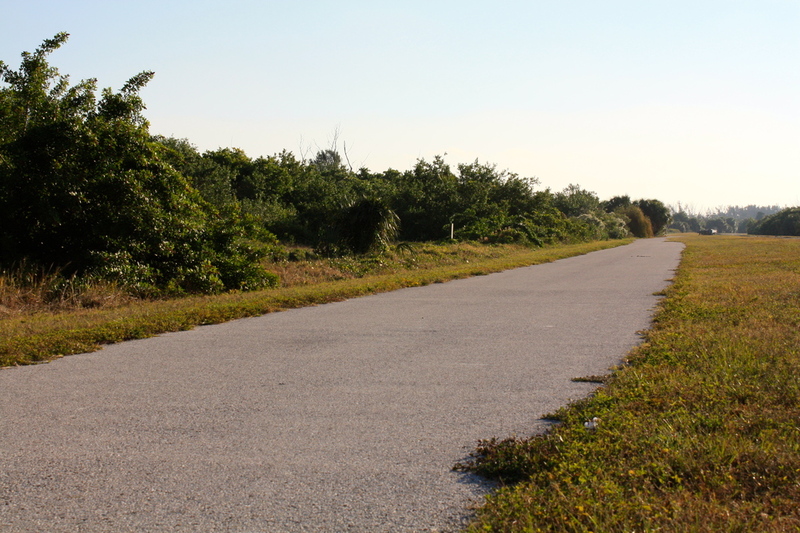 The course has lots of interesting scenery, and no street traffic. Pacers: Yes. Provided by Fit2Run. I saw pacers for 1:30 up to 3:00 hours. Aid Stations: Yes. Water every 1.5 miles. The water was cold and plentiful. The volunteers were great throughout the race; they offered lots of encouragement as well as water, sports drink and orange slices. Port-o-lets: Yes, as well as permanent park restrooms. The park restrooms are lit by skylights only, so you need a flashlight if you use them when it's dark outside. A line of port-o-lets were set up in the parking lot a hundred yards from the starting line. Huge spotlights provided lighting for the port-o-lets, parking area and starting line before sunrise. Parking: Parking was abundant and FREE. The park entry fee ($5) was included in the race entry. Racers were waved through the toll station before the race. It's important to get to this race early. The main road has to be clear of traffic for the half marathon to start. If cars are still entering the North Beach parking lot it will delay the race. Cost: Depends on when you register; discounts for running multiple races. Watch for preseason specials in April. SWAG (Stuff we all get): Bright pink tech shirt. Nutrition bars weren't given when I picked up during the first session. Happy Surprise: Gorgeous, low humidity weather. The scenery was good — palms, fort, beach, water, wildlife habitat. Post Race Festivities: Finishers were announced as they approached the finish line. Volunteers presented a medal and bottle of water to each runner. The post race party was a few yards from the finish line in the shelter pavilion and surrounding shady area. There was a stage, music and plenty of folding chairs and picnic tables. A guitarist played music until the awards ceremony. Runners could take pictures in front of a large race banner. Food was plentiful — water, beer, chocolate milk, sports drink, pasta, pastries, bananas, etc. More than enough food for everyone. Photos: Yes. A couple of years ago Florida Road Races upgraded to free race photos. That's a great perk. Links to photos were sent via email and Facebook a few days after the race. Awards: Overall awards and lots of age group awards were given. Runners who participated in multiple race challenges received additional medals. 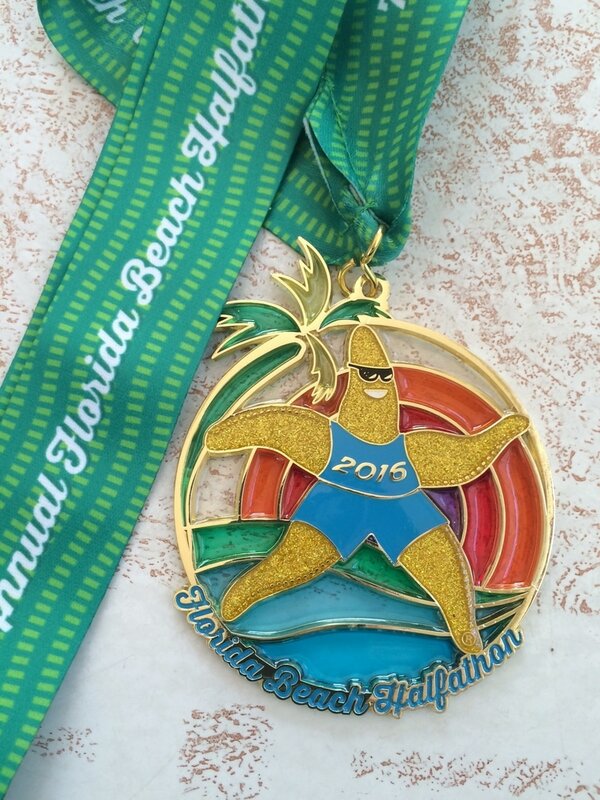 For example, if you ran all 4 half marathons in the series, you received extra bling. Timing Chip: Yes. The chip was on the race bib. Digital display at the finish line. Race results posted at www.coolrunning.com. Weather Report: March can be kind, and it can be cruel. It was kind this year with low humidity and cooler temperatures. 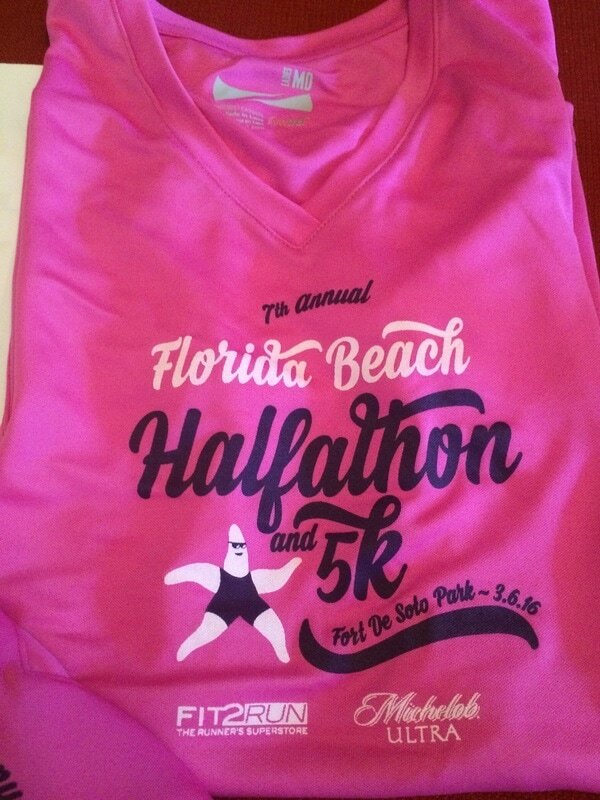 The Florida Beach Half course is entirely inside Fort DeSoto Park on paved trails and roadways. There is lots to see as you run an out and back course. Florida Road Races shirts are always nice! Runners gather near the starting line. Pacers provided by Fit2Run. The race begins and ends in the North Beach parking lot. 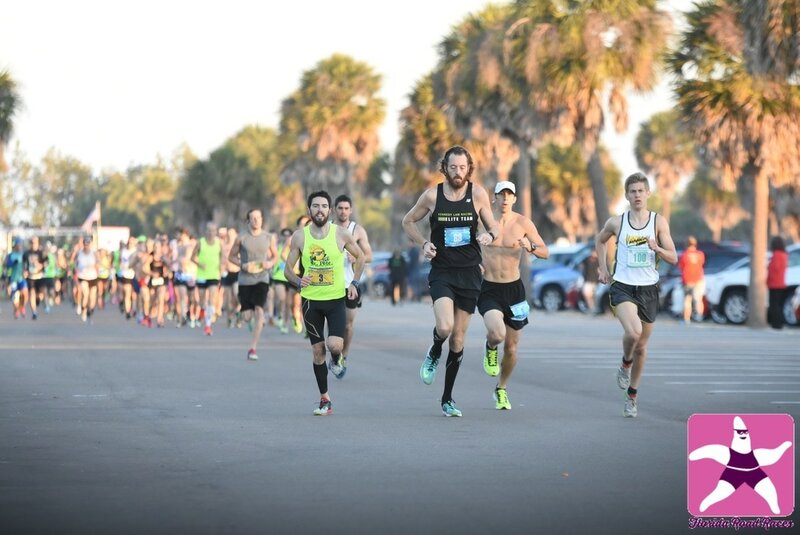 Runners pass the Mile 1 marker at 2016 Florida Beach Half Marathon in Fort DeSoto Park. 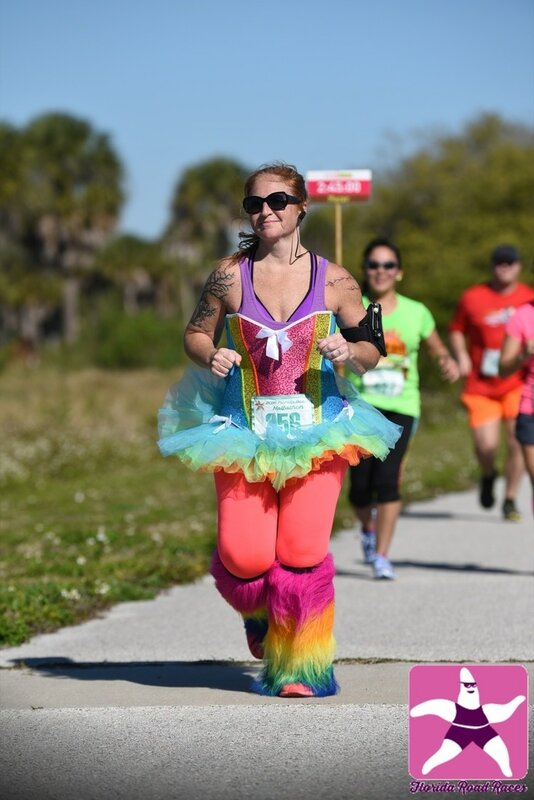 This runner reminded me of the 1980s Rainbow Bright character. 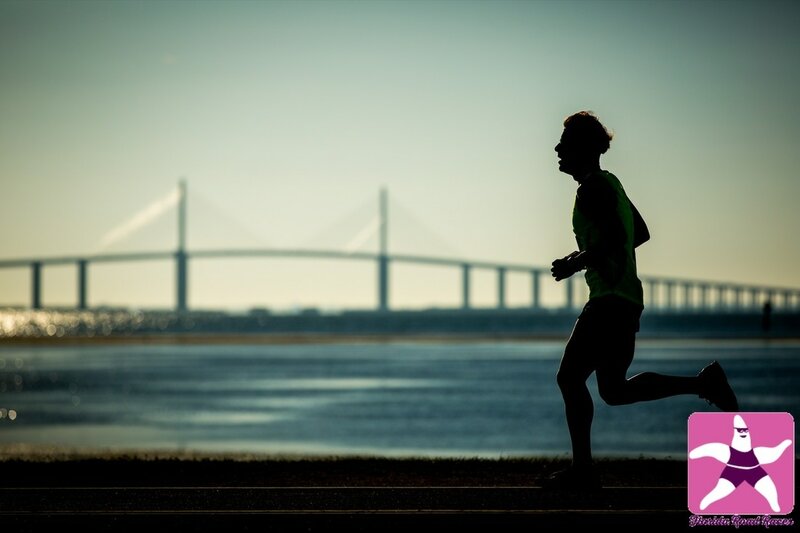 The half marathon includes a view of Tampa Bay and the Skyway Bridge. The 2016 half marathon finishers medal is a nice addition to the collection. The weather was really nice this year. It was cool at the start, then warmed up while we were on the course. I didn't see any clouds. There seemed to be fewer runners than last year. It can get lonely on some parts of the trail, but I think fewer runners is nice on a trail run. I leap frogged with 6 to 8 runners throughout the race. My legs felt sluggish the last few miles, but I kept going and got it done. My daughter cheered me on at mile 12 which helped. I ran to the finish. 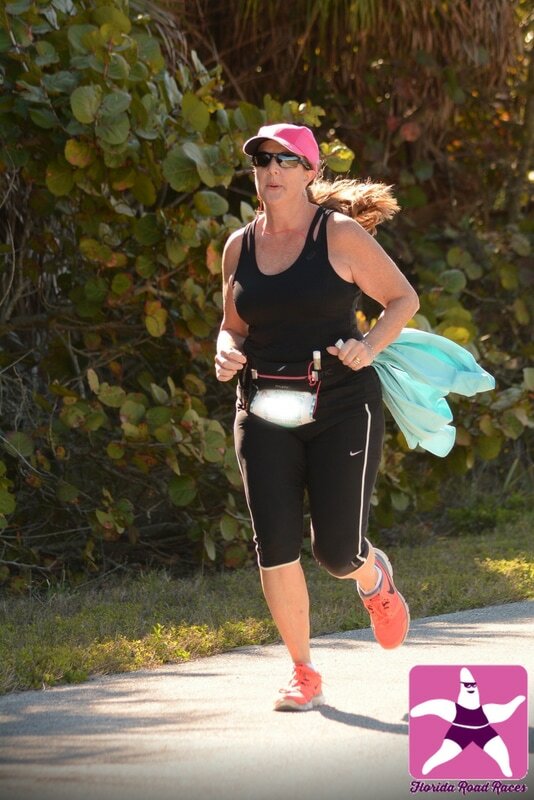 Running the last half mile to the finish line. No jacket required after mile 3.